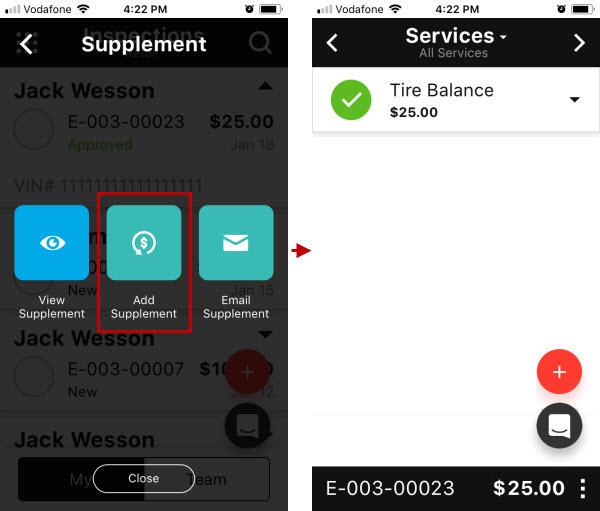 On the Supplement screen, tap Add Supplement, and then swipe to the Services screen. 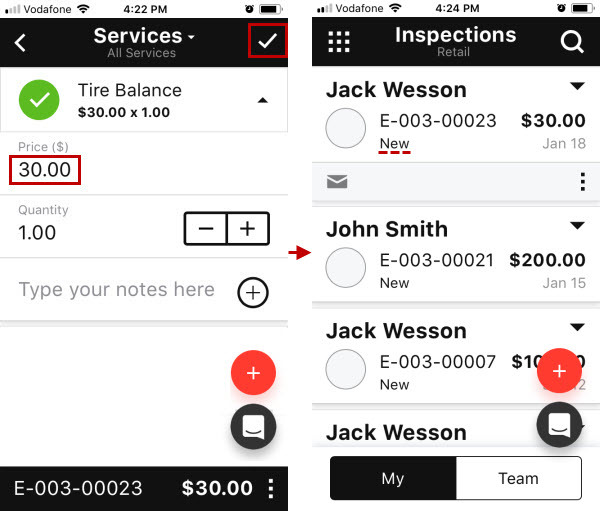 Make the appropriate changes, for example, add a service or change service price, and then tap Save. 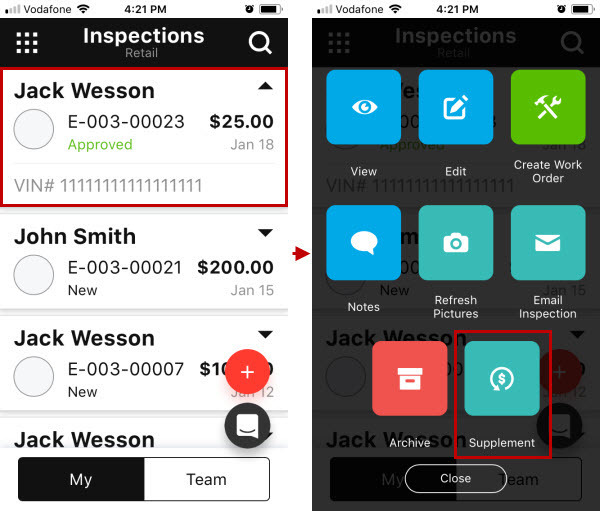 Note If you add a supplement to an approved inspection, its status will be automatically changed to New.